Edinburgh: The Classics of Golf, 1987. Bound in silver boards with dark blue lettering, has decorative end-papers, and is a facsimile edition in near-fine condition. 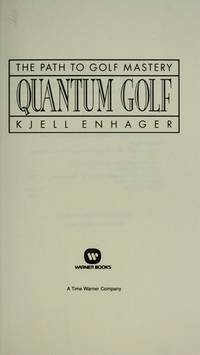 Contains an afterword by Jack Nicklaus. 68pgs.. Facsimile Edition. Hard Cover. Near Fine/No Jacket. 7 1/2" X 5". 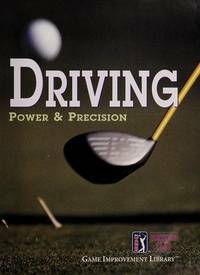 U.S.A.: The American Golfer, Inc., 2000. Bound in blue cloth, stamped in gold. 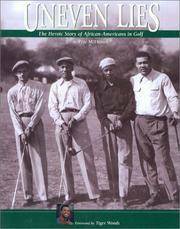 Tight, clean copy of this interesting book on African Americans and golf . . . 167 pp. Quality Production. . Second Edition. Hard Cover. Fine/No Jacket. 4to - over 9¾" - 12" tall. Hong Kong: Storey Communications, 1988. Well done reprint of this book that was originally published in the U.K. in 1910 by Duckworth. Just a quality publication overall with the original photographs, printed here on glossy stock. The Classics of Golf series. 254 pp. 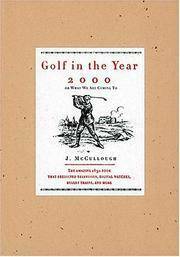 + an afterword by Ben Crenshaw. . Reprint. Hard Cover. Near Fine/Near Fine. 8vo - over 7¾" - 9¾" tall. Spain: The Royal and Ancient Golf Club of St. Andrews, 1996. Bound in thick green boards (with brass corners) with gold stamps and inlaid golf course picture on front cover. Topics include Playing the Ball, Players Responsibilities, Design of Clubs, etc. Printed in b&w and blue-green. Tightly bound and clean. Handy reference of 112 pp. Handsome production.. Eighth Printing. Hard Cover. Near Fine/No Jacket. 4to - over 9¾" - 12" tall. Topsfield, Ma. : Salem House Publishers, 1988. Foreword by Greg Norman; Last Word by Peter Cook; color photos; 160pp.. First Edition. Hard Cover. Near Fine/Near Fine. Illus. by Photo-Illustrated. Oblong Quarto. Nashville: Rutledge Hill Press, 1998. Second Rutledge Hill printing; originally published in 1892; black & white illustrations; 160pp.. Second Printing. Hard Cover. VG+/VG+. Indianapolis: The Bobbs-Merrill Company, 1977. Bound in green decorated buckram, sans DW; color plates and black & white photos; 239pp.. First Edition. Hard Cover. Near Fine/No Jacket. 4to - over 9¾" - 12" tall. Philadelphia: Lippincott, 1963. Fictional "letters" bound in green decorated buckram, sans DW; black & white drawings; 176pp.. First Edition. Hard Cover. VG+/No Jacket. Illus. by RODRIGUES, Charles. Irving, Texas, U.S.A.: Summit Group, 1995. Bound in 1/4 black morocco leather and black boards, stamped in gold on the spine. 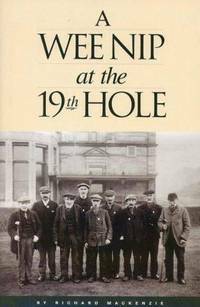 The first edition of this rather scarce title by one of the greatest golfers of all time. Inscribed, Signed and Dated on the front free endpaper by Mr. Nelson. 175 pp. . Signed by Author. First Edition. Hard Cover. Fine/No Jacket. Minneapolis: Partners Club, 1999. Bound in Forest green boards with inlaid photo plate and gold gilt lettering; small nick to front bottom of spine; color photos and illustrations; 163pp.. First Edition. Hard Cover. Near Fine/No Jacket. 4to - over 9¾" - 12" tall. Minneapolis: Partners Club, 2001. Bound in Forest green boards with inlaid photo plate and gold gilt lettering; color photos and illustrations; 176pp.. First Edition. Hard Cover. Near Fine/No Jacket. 4to - over 9¾" - 12" tall. Minneapolis: Partners Club, 2002. Second printing; Bound in Forest green boards with inlaid photo plate and gold gilt lettering; color photos and illustrations; 176pp.. Second Printing. Hard Cover. Near Fine/No Jacket. 4to - over 9¾" - 12" tall. Minneapolis: Partners Club, 2000. Bound in Forest green boards with inlaid photo plate and gold gilt lettering; color photos and illustrations; 160pp.. First Edition. Hard Cover. Near Fine/No Jacket. 4to - over 9¾" - 12" tall. Minneapolis: Partners Club, 2000. Bound in Forest green boards with inlaid photo plate and gold gilt lettering; color photos and illustrations; 176pp.. First Edition. Hard Cover. Near Fine/No Jacket. 4to - over 9¾" - 12" tall. Minneapolis: Partners Club, 1999. Bound in Forest green boards with inlaid photo plate and gold gilt lettering; small nick to front bottom of spine; color photos and illustrations; 165pp.. First Edition. Hard Cover. Near Fine/No Jacket. 4to - over 9¾" - 12" tall. New York: Warner Books, 1991. Black & white illustrations; 126pp. 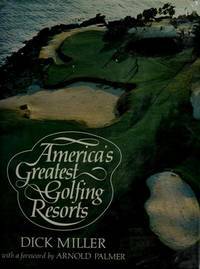 By the noted golf course designer. . First Edition. Hard Cover. Near Fine/Near Fine. Garden City, N.Y.: Doubleday & Co., 1985. As told to Dwayne Netland; foreword by President Gerald R. Ford; black & white photos; 230pp. Two bumps to spine.. First Edition. Hard Cover. Good/Good. Dallas, TX, U.S.A.: Taylor Publishing Company, 1992. 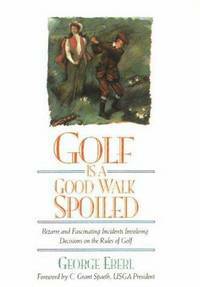 "Bizarre & fascinating incidents involving decisions on the rules of golf. "; signed by the author on the half-title page; foreword by C. Grant Spaeth; 160pp.. Signed by Author. First Edition. Hard Cover. Near Fine/Near Fine. Chelsea, Mi. : Sleeping Bear Press, 1998. 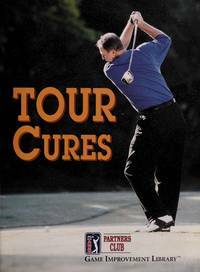 Third printing signed by the author on PGA Tour Shops plate affixed to ffep. 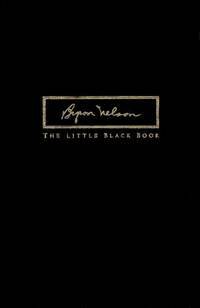 ; illustrated with black & white photos; 136pp.. Signed Bookplate. Third Printing. Hard Cover. Near Fine/Near Fine. NY: Henry Holt, 1951. A tight, clean copy of the first edition of this 87 page instruction book. Neatly inscribed and signed on the front free endpaper by Mr. Farrell. Johnny Farrell was the winner of the 1928 U.S. Open. The player he beat, Bobby Jones, wrote the introduction to this book. . Inscribed and Signed. First Edition. Hard Cover. Near Fine/Near Fine. Illus. by Photo-Illustrated.